Squeaky Books: Should authors comment on reviews? I've had an interesting question come up recently: how do you feel when an author comments on your review of their book? Same with tweeting, when an author tweets at me saying they read my review I GET SO EXCITED. It happened today with Jodi Meadows and I about blew my top. And Diana Peterfreund always comments on my reviews of her books. And I don't even have to MENTION the awesomeness of when Shannon Hale comments on my blog. But when I was talking with Ashley and Zoe Marriott on twitter, Zoe says she's worried about making bloggers feel uncomfortable. What say you? How do you feel about author comments? And let's just assume these are authors with tact. I know we all hate getting hateful comments from anyone, especially authors. I completely agree with you about positive reviews! Although I do think that, if it is a negative review, the most professional thing an author can do is step away...even if they are trying to be constructive and not defensive. I love it when I get author comments. It makes me feel like I've done a good thing in spreading the word on their book and they're appreciative of that. I had one author comment on my negative review of her book, thanking me for staying professional and for finding things I did like about it, even though the whole thing wasn't my cup of tea. I've had a few authors comment on my reviews. Deanna Raybourn sent a tweet (I almost died because I love her work so much), while Christopher Meeks and Jackie Morse Kessler both e-mailed me directly. I really appreciate hearing from authors, even if my review was negative. Kessler sent me a respectful e-mail explaining her reasons behind some of the things I had complained about and, while it didn't change how I felt, it did, as you say, remind me that my reviews are out there where everyone, including the authors, can see them and that I should be responsible and respectful. I've seen some authors leave horrible comments on blogs (The Greek Seaman incident, anyone? ), which I don't think is appropriate, but personal communication between authors and reviewers can be very constructive and helpful. I would say yes if it's positive. But no if it's negative. I reviewed a book. It wasn't a negative review, really, but something in the book really bothered me and I said so. Elizabeth Bunce comes along and comments on the review--and it was so awkward for me. I didn't write that review for her--it wasn't about how it was written, just how I specifically responded to it. I like authors to comment. A lot of times, the ones that have not been positive have earned me email comments anyway. Might as well have them out there for everyone to see. Ems, she has a few times and it always makes me SO happy! I say as long as they remain professional then its great! If it's a positive review I think its a really great thing and makes me feel awesome. If it's on a negative review, even if it's tactful, it makes me feel really awkward and I would rather they didn't. Like someone else said, I don't write my reviews for the author. I write them for myself and for readers who may or may not read that book. The best thing for an author to do in that situation is walk away. I try to keep my reviews tactful, but sometimes certain books make me really angry and I feel like I have a right to express that opinion. I think it is great when I get a comment from the author especially when it is an author that I really like. I also appreciated an e-mail I got from one author who said she really appreciated my "thoughtful" review because it showed that I actually read the book and got what she was trying to say. That one was pretty cool too even though I had never read any of her books previously. We're so glad to hear that you guys like when authors respond!! I love it. It's awesome. It makes my day. It makes blogging worth it. It makes me very very happy. I love it too, because it makes me happy to make them happy. I also love that they took the time to even care :) One thing I don't like is when they review their own book on goodreads...of course they like it lol Its their book! Thanks for discussing this, Enna! You see what I meant about how sometimes, no matter how respectful and positive an author is, the blogger might not feel comfortable with them commenting on a review? I mean, let's sey there's a review of my book which says both positive and negative things - I feel that it was generally positive and I like what the blogger had to say, but the blogger themselves feels awkward and self conscious about me commenting on it because the negative aspects are uppermost in their mind. I've got no way of knowing that until I blunder in there. So sometimes you feel like a long-tailed cat in a roomful of rocking chairs. It is definitely a fine line. I understand the complaint about "making the reviewer feel awkward" -- but at the same time, they aren't having a private conversation, they are putting something on the internet, and there should be an expectation that anyone, including the author might see it. I think sometimes we live in an illusory world in which we believe the things we put on the internet are only for our eyes or the eyes of our friends. Also, I don't like the expectation that authors live in some kind of bubble. We're all writers because we also love reading, which means we like to talk about books more than anyone! If the knowledge that the author is listening "stifles conversation" then there should be no conversation at all -- because, newsflash. It's the internet. The author could ALWAYS be listening, whether they are commenting or not. That being said, I have no expectation that my books are for every reader -- so I know some people will read my books and not enjoy them. Even fansites of my books have detractors. That's fine. I like to follow my momma's advice about commenting on reviews: if I can't say anything nice, I don't say anything. But if the review is a good one, or even makes insightful comments -- come on! How can I resist saying thank you? I write books for readers. I like to know that I've touched them with my work. Personally, I try not to read reviews that don't come directly to me in my Twitter mentions (I assume no one would @ me with a review saying they didn't like my book! ), and I try never to comment in the *comments* section. I like to say my thank yous on Twitter or email. Illusionary privacy or not, there's probably going to be *someone* who feels uncomfortable saying what s/he honestly thinks if they think the author is lurking, and I don't want to be a cause of discomfort. Wow! This discussion became way more awesome-r than I ever thought it would! Sounds like we can't come to a definitive conclusion, but for people who like author comments, we have authors like Diana, and for people who don't, we have authors like Zoe. And for the middle grounders, we have Jodi. Everyone's happy! On positive reviews? Love it. To be honest though? 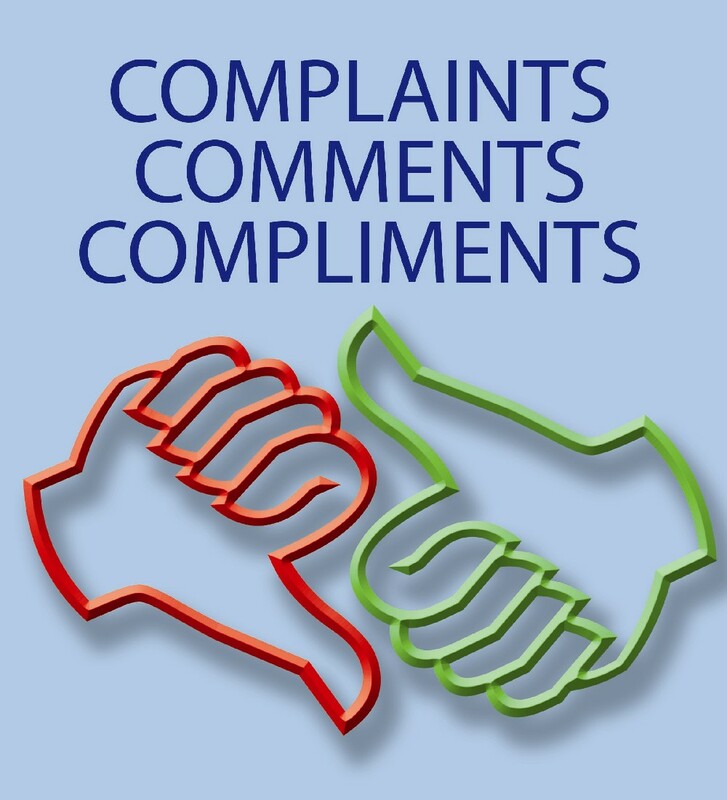 Even when they're courteous, I prefer not to get comments on negative reviews. It's why I don't tag the author or publisher in those cases. Even if they're courteous, I feel all guilty and squirmy because in their shoes, I'm sure a negative review would... well... hurt my feelings and it's not what I'm trying to review. I'm just trying to give an honest opinion. How do I feel when I get an author comment? Of course I love it! I've yet to receive a bad one so I can't speak from the other side of the table but I like getting positive feedback from authors. I don't feel intimidated at all. As for whether authors SHOULD comment on reviews, I guess that's their prerogative. If I were the author, I'd keep it to emails just because I wouldn't want it looking like there was any kind of exchange going on that could lead people to think that the review was dishonest in any way. Not that that's the case but I've heard that argument and I know quite a few authors refrain from commenting at all for that very reason (among others). It's up to them, as long as they're consistent. Consistency is key. Interesting discussion. I love it when author's comment on my blog or send me emails or tweets. It's nice to feel like they are reading. I LOVE comments, but I REALLY LOVE author comments! It makes me smile to know that they took the time to see what I had to say about what they had to write! I don't think that people should bash a book they didn't enjoy for all people are different and I have loved books that my friends haven't. There are so many kinds of books because there are so many kinds of people. If one person doesn't like it - two might. I do believe that if you don't truly enjoy a book, being constructive and professional about what you didn't like is the only way to handle it. I LOVE author comments. We've talked about this, I LOVE it. An author that I love taking the time to comment is pretty much the greatest feeling ever. I do prefer, if it's a negative review, to have the author email instead of comment. It's a little awkward for me, but I also think it's awkward for other readers/commenters. But seriously- An author telling me they know, even indirectly who I am? Pretty much rocks my face. I clicked over from the "Fiction Groupie" blog. Here's an author's perspective, if you don't mind my chiming in! - when my first book came out, I tried to thank every reviewer to let them know I appreciated them, because I did. However, after a while, I did stop reading most reviews unless my editor, a friend, or the reviewer sent it along for me to see. If the reviewer sends it, I always personally thank him/her, always! I stopped commenting generally because I began to feel that maybe I was intruding and I didn't want to make anyone feel awkward! I wanted them to be able to write whatever they wanted without worry about me peeking over their shoulders. The last thing I want is to make someone feel awkward! And then time became an issue: as a few other books were released, I couldn't keep up (not that I am in such high demand I have a gamillion reviews *laugh* but still, it did become more difficult to keep up with reader mail, reviews, writing, social networking, etc). What I do now is try to do thank yous every so often on my social networking sites - I know it's not as personal, but I do truly appreciate anyone who takes the time to read my work and then review it. Or, as I said, if a reviewer sends me his/her review to read, I always thank them -because I am always grateful. Without reviewers, especially online/blog reviewers, many authors wouldn't receive the much-appreciated and needed "publicity" on their works - so Thank You Thank You Reviewers! I've spent so long writing for the internet that "DON'T READ THE COMMENTS" might as well be tattooed on the insides of my eyelids. I think it would be very hard to get over that instinct and read a review, even a lengthy and well-thought one. Then again, reviewers are unlikely to refer to me as a "marxest Keenya-loving $*%&" (in response to, say, a piece on classical music, just to draw on personal experience), so maybe it could be a rewarding and refreshing experience? I used to comment on all positive reviews. But then I decided to quit, for a couple of reasons. 1) I couldn't comment on everyone's reviews, and I didn't want anyone to feel like I was snubbing them. 2) Some people mentioned that it made them uncomfortable to see an author commenting on a review--positive or negative. I realized that a review tends to be a place for readers to discuss. 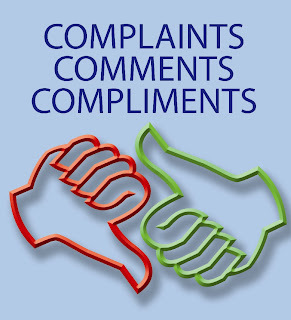 Positive or negative, people will often use the comments to reviews to give their opinions, agree or disagree with the reviewer, etc. And so even if the blogger's review is positive, there are probably going to be people who disagree with the blogger and want to discuss the book. A comment from the author will usually make all such discussion end. Talking about a book when you KNOW the author is watching will limit some people from commenting and truly discussing. I want my readers to feel free to talk about my book--in a positive or negative way. And I want there to be discussions without any uncomfortable feelings, or without a reader feeling that s/he can't fully express her opinions because I'm watching. If someone tweets me a review, I try to tweet a thank you back. But I avoid all comments so that I don't impeded any discussion. I love comments of all kinds - even if they are negative. Yes, authors, it can be awkward sometimes. Awkwardness is bound to occur in the blogging world - and as someone who aspires to be an author someday, it is even more present. Yet I have to learn to get over that awkwardness as a blogger and a writer. You cannot like everyone's work. Everyone will not like your work (and your opinions) and that is something we all have to live with. That being said, not everyone has to bother with reading comments that remind them of it. So I can understand why some people say nay. I've also had a very bad experience with an author who privately emailed following a negative review and quickly turned to detracting me. That turned me off of the idea for a while. However, it is my place to be honest. Sometimes honesty comes with a price. it comes with a lot of great things, though. If that author had been one open to discussion on craft and thought, I would have loved it. I still love it when authors say I connected with the work or answer my questions. It helps. It works. There is no direct right or wrong to it, but if the blogger is open to non-negative discussion, it can be a great experience that simply adds to the different ways to look at the book. Nevertheless, I don't read reviews anymore. It's important to surround myself with positivity. Also, reviews are written for readers, not authors. What a great topic! I've thought about this a lot, and I'm so glad to see what others think about authors commenting on their blogs. I don't really write reviews. I write recommendations for books that I adored. So, if the author comments, it makes me happy. Whoops! Didn't finish my question above. Someone mentioned on twitter (while talking about this post) that bloggers should think about including in their policies, whether they are open to authors commenting, or not. I'm curious to hear other people's thoughts on this. I, personally, won't put my preferences in my policies, but are there bloggers out there who do this? I know that I don't really have a policy... I probably should. All I say is that I don't do indie, self-pub, or e-book. Does that count? I haven't reached a point of popularity where I need to be really specific in my policy. I'm always a bit unsure what to say when I come across a positive review. My initial response is to say THANK YOU! I really appreciate that someone parted with several hours of their life and then took the time to tell others about my book. Not to mention that it completes that reader/writer connection that most authors hope for. But I also worry that I might make some bloggers and their audience uncomfortable, even with a very grateful comment, and so I don't comment and then feel like I left my manners at the door. It's a very fine line to walk. I love hearing all of these responses. Thanks for this discussion! I'm with Mary. 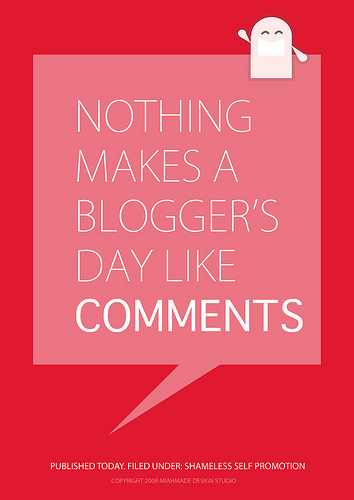 I really WANT to say thank you, but I don't want to make the blogger feel uncomfortable. Instead, I link to the review on Twitter or Facebook, saying how much I love the review. That way, I figure I'm saying thank you in a less intrusive way, while also sending traffic to the reviewer's blog. I hope this is OK! Thanks for a great discussion! haha, yeah I totally remember the epic meltdown over The Greek Seaman. This is a REALLY awesome conversation. Like Jodi said, any review I get I'm thankful for because it meant someone was moved enough (either positively or negatively) to take the time and read/review my work. And while yes, a negative review can sting, I've been in critique groups long enough to develop a really tough hide so I've trained myself to look for the learning opportunities in each and every review. I get nervous when I post reviews. My biggest fear is the author will stumble upon my review and be hurt by it. In instances like that, I would rather be ignorant to whether or not the author read my review. If they feel the need to post something, I hope they have...tact? I don't like confrontation. If it's a positive review, then I would be elated if the author commented! I hate it when authors comment on my reviews. I really, really hate it. Whether the review is positive or negative, I do not feel that it's the author's place to be elbowing into a reviewer's space. We all like to nod our heads and say, "Yeah, it's great to share the love!" but really, most people feel awkward when authors comment on reviews. It's an invasion. Authors must retain a degree of professionalism and seeking out reviews on lax websites such as Goodreads and Amazon only creates problems. Everyone will say, "The internet is an open field, so don't post anything if you don't want others to see it!" It doesn't work like that. Authors, when you comment on amateur reviewer's blogs or spaces, you're basically making it known that YOU ARE WATCHING and whatever they say about your book, you're going to know. It's intimidating. Call me defensive, but whatever - I'm only saying what a lot of people are afraid to. Reviews are for other readers. Yes, authors can benefit from them, but they should only benefit from afar. Knowing that an author is watching you and everything you write is unnerving and a huge put-off. So, my answer is no - authors must remain a distant, professional, commercial face and not encroach on a reviewer's space. You can fight me all you want, but this is an unspoken rule, and it's human nature. Granted, every comment I've ever had from an author on my reviews has been abusive or full of sarcasm and hatred. Maybe I'm biased. These weren't small-time writers, either - some of them were the really big kids, and it always bothered me that even through their six-figure paycheck and all their screaming fans, they're still bitter enough to seek out my space and make me feel uncomfortable and paranoid. I have experienced too much unprofessional and immature behavior from authors to feel any kind of positivity toward this topic. Of course authors should be allowed to comment. They're human beings just like anyone else.. If you don't like it, tough. Perhaps you'll be one of those petty people who'll reduce the rating you gave the book if the author says something you don't like.. or worse, throw in a spoiler. The attitude of some people repulses me. OF COURSE THE AUTHORS ARE WATCHING if you don't realise this and you're upset to think they've spotted your ill considered opinion, so what? You wrote it. They have every single bit as much right to express their opinion as you do. Personally I think there are many authors out there who should be giving their reviewers some very very bad reviews!